There is so much of positivity and poignant moments in Mani Ratnam's O Kadhal Kanmani that the exhilarating energy begins with the title card itself, where we are introduced with the profession our protagonist Aadhi Varadarajan (Dulquer Salmaan) who is an avid gamer. 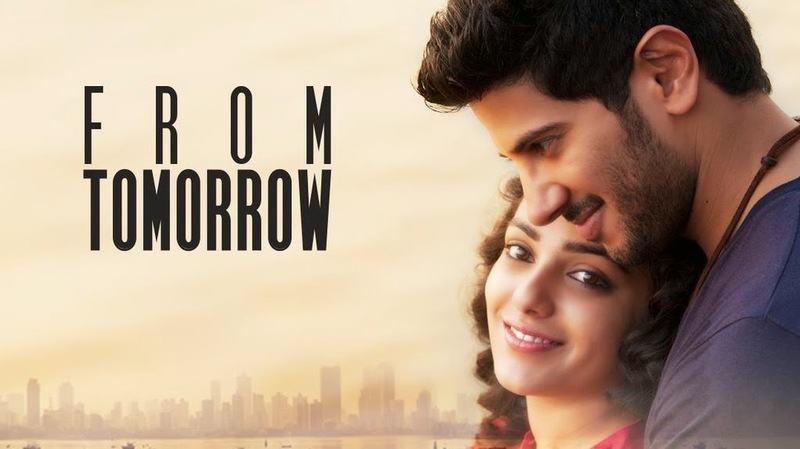 The super cool animated Mumbai city along with AR Rahman's alluring music elevates the energy to a different level, cut to the present we are shown Dulquer at a railway station and sees the cherubic Tara (Nithya Menon) who is threatening a guy that she is going to fall in front of a train. Soon in their second meet, they talk about their disbelief in marriage, fall in love, enter into live-in relationship but strangely everything is extremely believable. There is something cute and lovely about Aadhi and Tara as whatever they do in O Kadhal Kanmani is amusingly adorable, all thanks to the authentic characterization and dialogues. For example, Aadhi comes to Tara’s office and asks her out... she hesitates to be the pillion and he immediately says 'Na Venna un koodavey Thallitu nadanthu Varatuma' which puts a big grin in our face, in the other scene both of them decide to stay in a lodge, she asks 'unaala nalla paiyen ah iruka mudiyuma' and he says 'mudiyum aana un kooda kashtam', the entire film is filled with such cute moments which is the biggest strength of O Kadhal Kanmani. The painstaking effort of Mani Ratnam must be lauded here, unlike other directors Mani’s detailing in the protagonists' professions are simply superb. We see Aadhi narrating his game idea, launching the trailer, we see Tara go to Ahmadabad to know about the ancient architecture yet the romance between the duo is intact, hail Mani Ratnam! If Mani Ratnam captures the young urban romance with Aadhi and Tara, the traditional aesthetic romance is conveyed through the Ganapathy (Prakash Raj) and Bhavani pair (Leela Samson), the latter is affected by Alzheimer disease. Interesting thing is that their relationship is not portrayed with melodrama; the energy level is as equal as the Tara and Aadhi pair. A conversation goes like this as Ganapathy narrates how he met Bhavani, Ganapathi: En Friend oruthan aranganathan nu peru periya doct, sangeetham onnum theiryathu aana bhavani ya sight adikavey kacheriku varuvan, Bhavani: aaha Neenga mattum kannu mooditu paatu kettingala Ganapathi... the writing of Mani Ratnam is extremely enjoyable... man this guy's life must be filled with so much of romance. I also really like way the trendy Tara and Aadhi accept the traditional marriage life of Bhavani and Ganapathy is another poignant moment in the film. While searching for the missed Bhavani, Tara feels for Ganapathy and she says 'Ganapathy uncle mathri yaarum avangala pathuka mudiyathu' .... Aadhi stops her: Adhulam illa, avarey mathriye mathavangalum pathukuvanga . Tell you what.... Mani's writing is tempting me to write all the dialogues in the film but I prefer to stop here, by the way watch out for the cute climax! Discussing about the performances, Dulquer is very natural and the actor is filled with a lot of energy while Nithya is cute and highly spontaneous. Prakash Raj puts in all his experience as the old caring husband while Leela Samson attracts us with her innocent yet charming act. Technically O Kadhal Kanmani is superior as both AR Rahman and PC Sreeram have given their career best work for Mani Ratnam as the master craftsman himself is in tremendous form. The way Mani updates himself is tremendous, especially the end credits roll out with an animation sequence where he tells us the post-marriage life of Tara and Aadhi. In recent times, I didn't see any other Tamil film with so much of creativity and detailing. Mani is back with a bang guys, go for it! PS: " Reviews and Ratings should not be confused with Box Office prediction meter, no it's not"
Very well written. Nice to see that you remembered the various instances exactly as in the film.